Who Could Be Liable for an Injury From Slipping on Ice? Home » Blog » During Icy Conditions, Who Is Liable for an Injury From Slipping on Ice? Winter is among us, bringing below-freezing temperatures and dangerous conditions such as snow, black ice and sleet. While these conditions are especially hazardous to motorists, ice can also pose a threat to pedestrians if left untreated. Due to these wintery conditions, premises liability claims tend to occur more frequently this time of year as more pedestrians fall victim to injuries caused by slipping on ice. It is important for Pennsylvania property owners to be aware of premises liability law in order to maintain safe conditions on their properties. 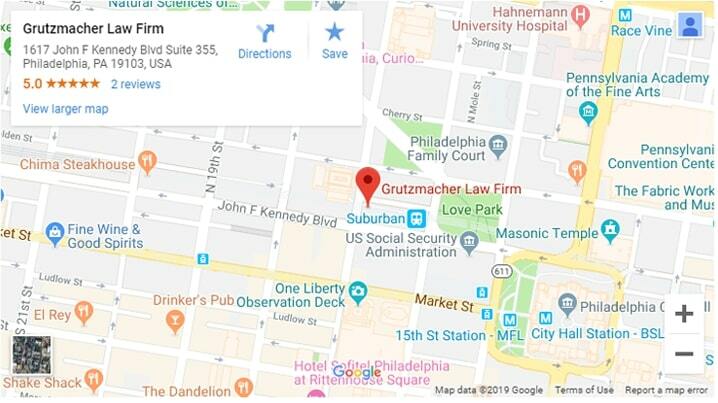 If you have been hurt, the personal injury attorneys at Grutzmacher Law Firm have experience in representing victims of winter premises liability accidents. It is up to property owners, whether commercial or residential, to maintain safe conditions for visitors, guests and customers. It is the owner’s responsibility to check for unsafe conditions and take necessary preventative measures to provide a safe environment for others. If a store or homeowner knows of ice on the sidewalk in front of their property and fails to take steps to remedy the situation or warn others of the dangerous conditions, they are acting negligently and may be held liable for any injuries due to slipping on ice on their property. 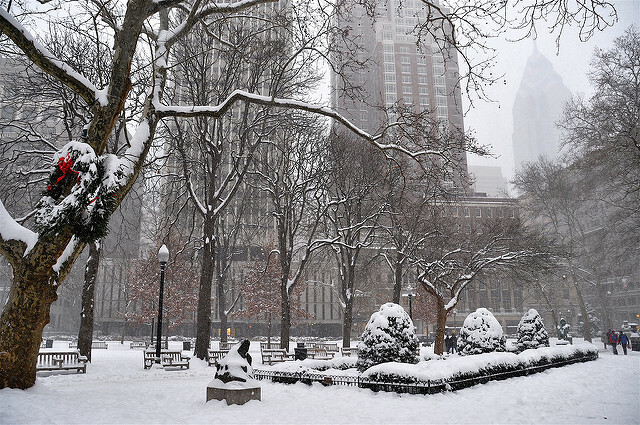 Slip and Fall Accidents on Icy Sidewalks and Parking Lots. As mentioned above, it is a property owner’s responsibility to clear ice from the sidewalks on their property or to make a reasonable effort to warn others of the dangerous conditions. Failure to do so can mean the owner is liable for any injuries sustained by slipping on ice. Falling Ice from Buildings. During the coldest overnight temperatures, icicles may form on rooftops above businesses. As the sun brings warmer temperatures throughout the day, these icicles may fall and injure people walking on the sidewalk below. Poor Lighting. In the winter, the sun sets earlier, leading to an inability to see uneven pavement or patches of ice. Property owners must maintain adequate lighting in walkways to prevent injuries from occurring on the premises. If you or a loved one suffered harm due to the negligence of a property owner, then you may be eligible for compensation for your injuries. The personal injury attorneys at Grutzmacher Law Firm will work compassionately and diligently to ensure that your winter premises liability claim results in the best possible outcome. For more information on how our firm can help you following an injury from slipping on ice, contact us online or by phone at (215) 261-7975 for a free consultation. Previous Previous post: Do Pennsylvania Laws Need to Be Harder on People Who Text While Driving? Next Next post: Who Is Liable in a Pennsylvania Truck Accident?